Every day seems to bring a new viral video showing a person treating others with disrespect, hatred, and anger. Stories are consistently being spread of influencers encouraging others to be uncivil. Kindness is more relevant than it has ever been during these times and we have a chance to profoundly influence others. The current market value for gold is $1252 an ounce. (Go find that old jewelry!) The golden rule, treat others as you want to be treated, has been tossed by so many. I would rather consistently interact with people who practice the golden rule than to own the actual gold itself. Every day people are losing their jobs because they have lost the golden rule during their personal time. Were all these people just as angry, self-focused and harassing while they were on the job? Perhaps some, but certainly not all. We can not turn off friendliness and kindness as we clock out for the day. Don’t throw away one of the most valuable gifts that you can give to others simply because you are frustrated. Your gift of kindness is more valuable than gold. This one has really been on my heart lately and I will lay it out simply. If a person tells you to be violent, speak hatred, harass or impede on someone else’s life then they are not a leader. They are at most an imposter and manipulator and at minimum a person who does not understand the consequence of influence. Do not follow these people. They seek to use you for their own personal convictions and nothing else. If they were a good leader and their heart was truly to effect change, then they would know that this tactic does not work, destroys trusts, galvanizes the opposition and only creates a bigger problem. Actively fight the call to be uncivil. Increase your social awareness and become extra sensitive to social cues going on around you during the day. Give the people around you extra kindness, and decency. One of the secrets that has served me well in culture changes (And one I commonly teach to organizations) is to show the person that there is a better world to live in than the one that they are currently in. In this instance show the people around you that there is a better world with love and kindness. This is your weapon against the hate and anger around you. 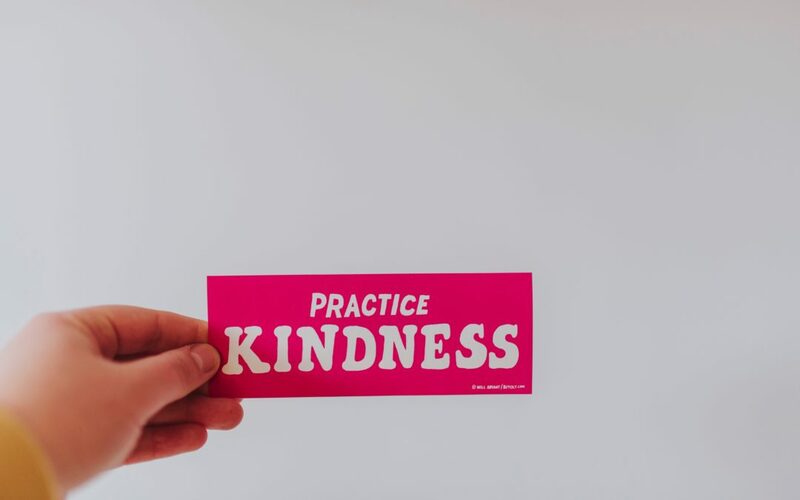 If you are a person who leads yourself well and practices kindness, empathy, and compassion there is good news for you! These very simple qualities are making people stand out in a good way more than ever before. There are stories every day showing how small acts of kindness are making the news. Just this morning, a story is making the rounds of a teenage girl who helped a deaf and blind person find their flight and get them seated on the plane. Another group of teen girls are learning to code in high school and using that knowledge to help stop cyber attacks on you. A little girl who was harassed as she was trying to raise money for a ticket to Disneyland was later gifted the tickets (for her and the family) by a stranger. You truly can make a difference just by sharing kindness with others. Still want a fight? Kill them with kindness then. You can be better than the weakness and anger that you encounter.